Coat the grill with olive oil or cooking spray. Preheat the grill to a medium-high heat. Cut the apples crosswise into ¼-inch thick rings. 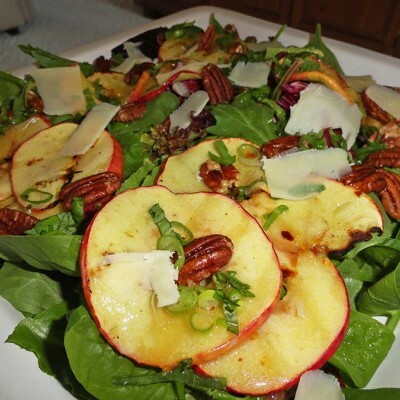 Grill apple rings, covered with grill lid, 2–3 minutes on each side or until crisp-tender. 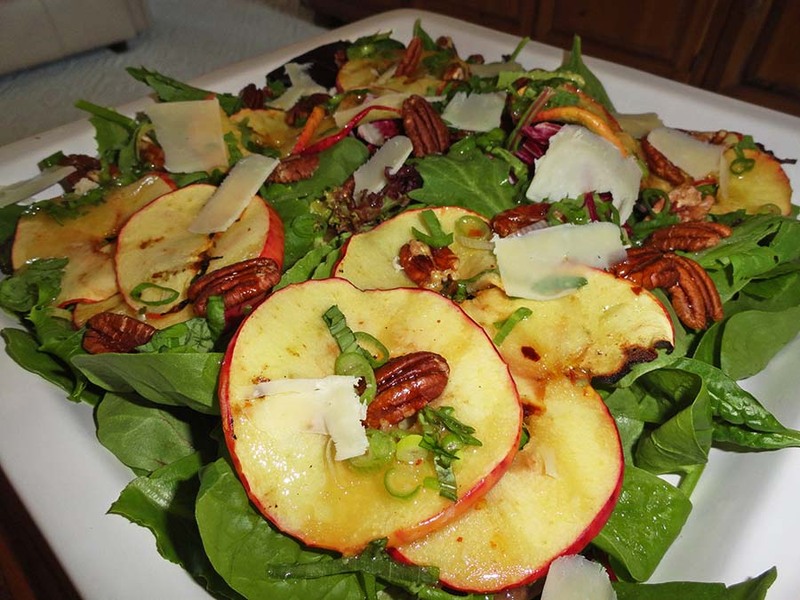 Arrange the spinach, mixed greens on a plate and top with apples, cheese and toasted pecans. Season with salt and pepper and serve with the vinaigrette (whisk all ingredients until blended).